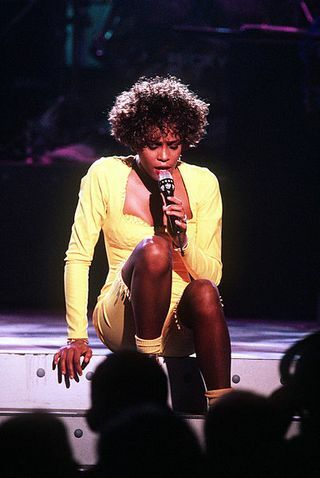 Whitney Houston, creativity, and drug use — When is Enough Enough? When I was producing television, I met Whitney Houston. She was suggested by a network for a guest role on a show I was producing. I had never heard of her so they sent over a copy of her singing “I’m Saving All My Love for You.” Before the song was over, I knew that I was willing to give her a shot even though she had never acted before. Not only was she a fantastic singer, but she really jumped off the screen with a luminous energy. The week that we did the taping, Whitney couldn’t have been nicer. She was about 20 at the time and seemed to be surprised and delighted at her new found fame. As I’ve watched her very public struggle with drugs and an abusive marriage, it has been heartbreaking. How did that joyous talented young woman turn into a pathetic drug addict? There is a cultural acceptance and even a romance built around doing drugs and alcohol in the music business that dates back many years. Just in the last few years Michael Jackson and Amy Winehouse have died. Like poets, musicians who die young tend to live on as legends. In order to stop losing many of our best and brightest musicians, it is time to consider how everyone in the culture plays a part in allowing talented people to self destruct. What other industry would allow key employees to show up to work wasted? How do you change a society where drug use is “cool” even when it destroys you? Musicians are the idols and in many cases the role models for our kids. There’s too much damage being done here to just shrug as we used to do about drunk driving — lives are at stake.